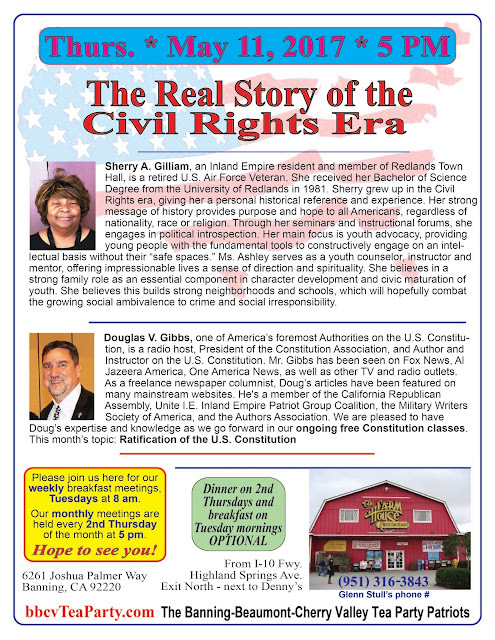 Previous PostTuesday Breakfast Meeting, and Upcoming May Monthly MeetingNext PostAre you fed up with what’s going on in California? It was a well-received event, with excellent speakers, Michael Thuney, Sherry A. Gilliam and Douglas V. Gibbs. Four new petitions were presented to the group in opposition to SB 1 Gas Tax Increase, SB54 California as a Sanctuary State, and a proposed amendment to Prop 13. Russell Roof presented his proposal for “Senior Citizen Real Estate Tax Relief.” The Tea Party is working to bring sanity back to California!